If you’re a zoo, museum or theme park planning a winter wonderland or holiday event, let the experts at Artificial Ice Events show you how we can help. Aside from just renting an ice surface, we consult on projects utilizing years of experience in evaluating rink sizes, rink placement, ticket sales, financial projections, and other special effects. 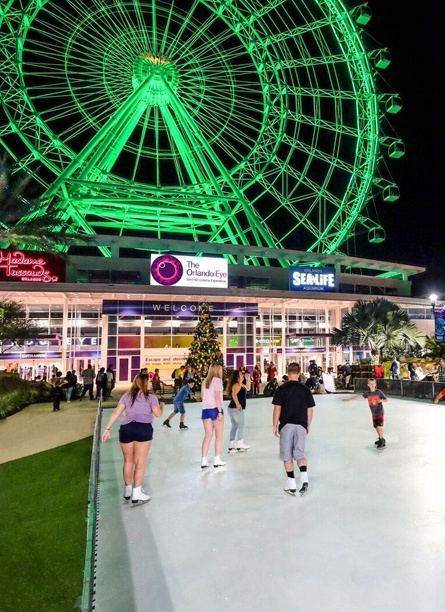 Museums, zoos and theme parks across the world have relied on us to provide ice surfaces for drive through light festivals, corporate holiday parties, educational programs and theme park parades. We are well trained in preserving the extra delicate museum installation and our ice requires no water or refrigeration so even the most sensitive environment is no feat. Artificial Ice Events is more than just ice and integrating daily choreographed ice shows, snow effects and imprinted ice surfaces are services we provide our clients all the time. Artificial Ice Events is more than a rental company. When a Children’s Museum came to us interested in one of our skating rinks we became active participants in designing a program revolving around the “green” nature of synthetic ice while partnering with a local energy provider to educate elementary school students on the underlying message of conservation and preservation. 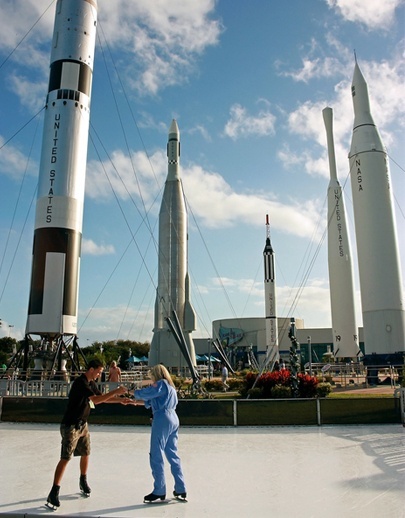 Artificial Ice Events has worked with many major attractions throughout the world. Creating the most unique winter themed experience for your venue and your guests is the ultimate goal. Our staff Works with your team each step of the way to truly provide the support necessary to deliver your message. With more large scale winter themed items currently in inventory and development, Artificial Ice Events is ready to assist you and your team achieves exceptional results and surpasses your guest’s expectations each and every holiday season. Visit our Attractions link for ideas about other services.